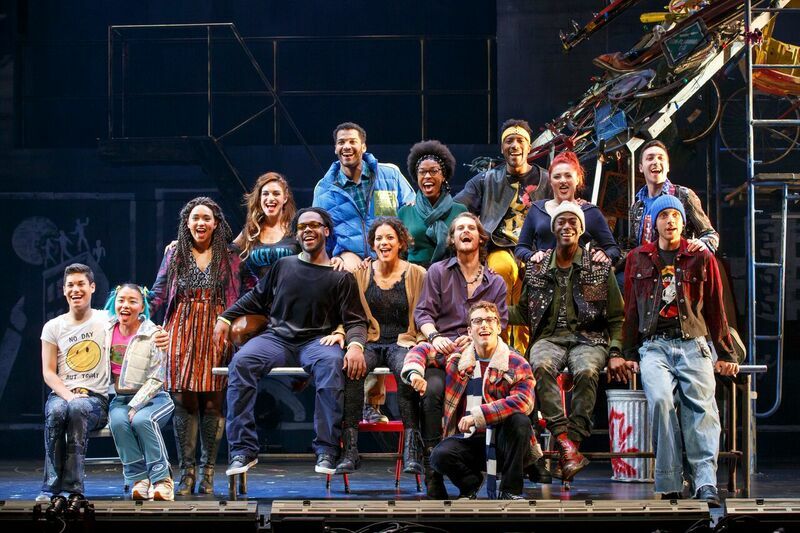 The 20th Anniversary of RENT, it’s more than an iconic rock opera, it’s a reflection of life. And the hope that LOVE TRUMPS HATE! This is more than a review. This is one of those occasions that I go above and beyond the typical review, to really explain the magnitude of a show like “RENT”. A slight disclaimer; being a part of my life automatically makes our encounters potential writing material. If I included you somewhere in this piece…well, you’re welcome. 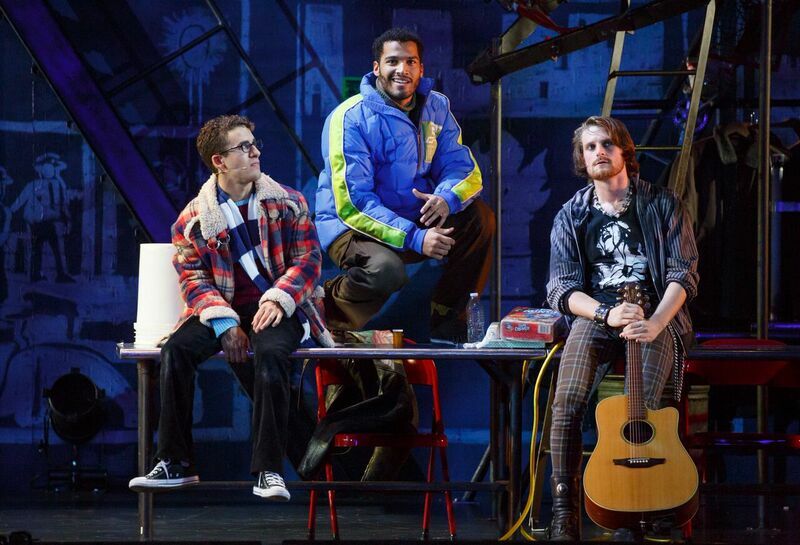 The energy of the crowd gathered to see “RENT” was significantly different than previous shows. It was charged, the energy almost palpable. My sister and I couldn’t get into a bar surrounding the Fabulous Fox, if our life would have depended on it. That was fine by me, epic people watching…listening. When doing research for this piece, I wanted to be able to explain to everyone (theatre goer, or not) the magnitude of what Jonathon Larson created. He didn’t just create a rock opera, he forged a creative movement. I need everyone to go back in time with me for a moment. “RENT” was set in contemporary New York City in 1989. It begins Christmas Eve 1989. This is a life with NO internet, NO cell phones, and NO social media. When you made phone calls it was on a landline or a payphone. When the phone rang, you had NO IDEA who was on the other end. You couldn’t Google medical questions and have instant answers at your finger tips. 1989 was nothing like 2017, in good ways and bad. God help us all! That was a real article. That was the misinformation in mass production in the 80’s. Can you imagine the mass hysteria? Can you imagine being the heterosexual female that believed that or even worse the homosexual male being demonized by ignorance? Regardless, AIDS was a very dangerous, fatal disease that no one understood. This is where art made its entrance. The art community did not use its platform to demonize this disease. The arts, is the one community where acceptance is more common than dismissal. To my experience, artists are a society of the misunderstood, or those who refuse to live by anyone else’s dogma. There is also a struggle among artists, that isn’t as common in the non-art community; the struggle with selling your art versus selling out to the corporate sector. So basically, a story line of artists and other bohemians struggling to make it in contemporary New York City; it wasn’t a reach. As if basic survival wasn’t a big enough battle, they also had to deal with impact that AIDS was having to the community around them. In their circle of friends a majority of them had the disease. They didn’t cast each other aside. They never judged or feared one another, they loved each other. They looked after each other. They fought harder to understand what the other was feeling, than they fought to discredit their emotions. That alone would have been an interesting storyline in itself until you realize the apartment seen on the set is a recreation of Jonathon Larson’s apartment. That the extension cord running the length of the apartment used as its only source of power, was actually real. 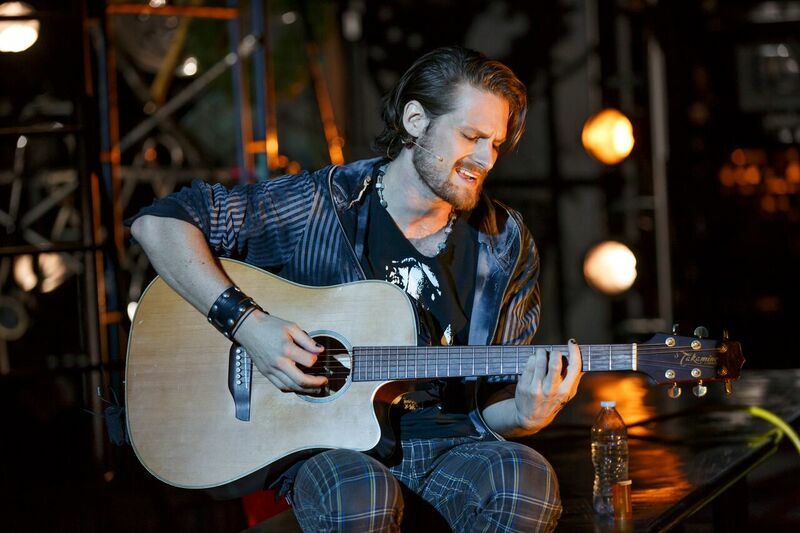 Mark Kohen, and Roger Davis are characters inspired by Jonathon Larson, Jonathon Burkhart, and Eddie Rosenstein. They didn’t have a lot of money, yet they went out every weekend. They were all in their mid 20s in NYC. So much of what we see depicted in scenes like “La Vie Boheme” was the truth. This wasn’t just a script, this was their life. Life Support, the support group for those living with AIDS, was inspired by a real group, Friends in Deed. It was this group that Jonathon would go listen to, to fully understand the struggles they were facing emotionally and physically. This was real life. This wasn’t just a story a creative person came up with. It was coming from a place that was very real to Larson. It was no surprise that losing Larson January 24th the night before their first preview, was devastating to the cast and family of “RENT”. Larson died suddenly of an aortic dissection, a complication of Marfan Syndrome. Larson’s parents along with the executives and directors of “Rent” decided the show had to run. They decided on an intimate read/sing-through without staging, for the January 25th preview. The cast broke into choreography at the end of act I during the “La Vie Boheme”, the finale of act I. 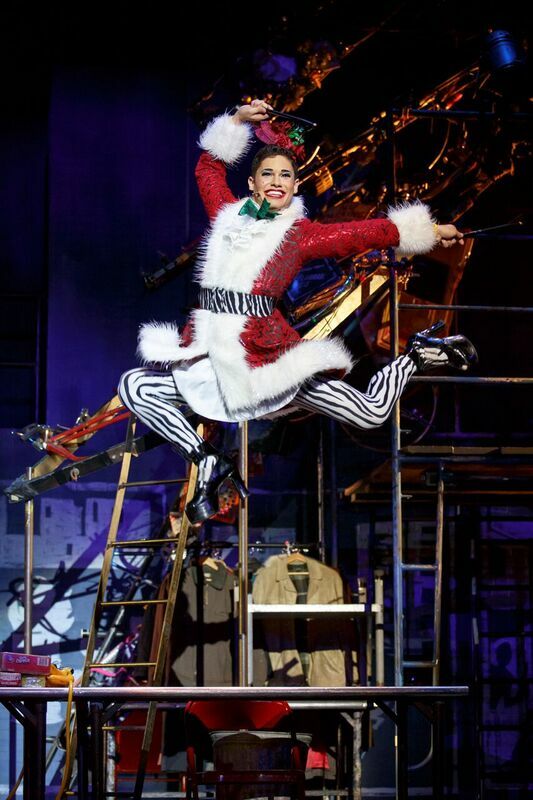 They continued into act II, and the continuation of “RENT” became a tribute to the life and love of their friend. WHAT IF, this is real? What if there is a group of people that see things in color? (Literally and metaphorically) What if these empathetic souls go above and beyond to understand others and to help others understand each other? What if these people take their sight and create tangible sentiments to continue to help others? What if they use this gift to evoke emotion, tell a story, or document a story? What if the friction in the world could be easily explained by this gift; in an ability to see things in color versus black and white? It NEVER occurred to me that anyone would want to only see in black and white. That sounds like a curse to me. Think about it like this, I can tell you all about the blues of the ocean or you can experience it. While you may describe it as greenish blue, I understand it as teal or cerulean. Not everyone wants to know the difference. Nor do they feel the need to experience it. It doesn’t make them bad per se, it just narrows their scope. I’m so thankful for color. I’m so thankful for what color brings to life; what colorful people bring to life. I’m thankful for creative’s, educators, activists, empathetic souls that measure in love. Those people that don’t measure their lives in what have, but in what they have done. I’m thankful for conversation created by Jonathon Larson’s, “RENT”. David Merino, was FANTASTIC as Angel Schunard! I knew how it ended, yet I choked up watching this group of friends say goodbye to Angel. Katie Lamark, played the role of Maureen. I laughed at her all the way home. Skyler Volpe, and her powerhouse vocals, had no problem bringing Mimi to life. The entire cast…I am not sure how you find that much vocal talent for one company.